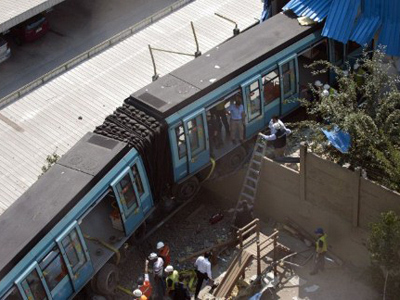 At least 15 people were injured when a passenger train derailed and caught fire near the Egyptian capital of Cairo. 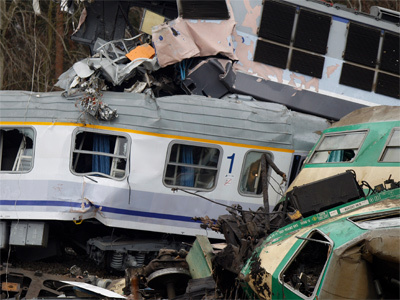 The incident was caused by passengers of another train putting logs and rocks on the rails. 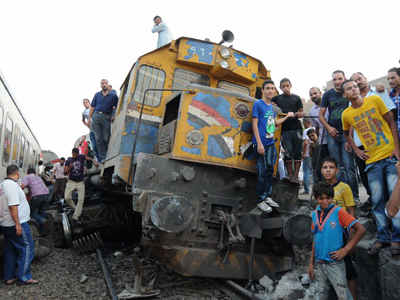 An Egyptian security official said on the condition of anonymity that enraged passengers whose train was delayed for more than half an hour placed logs and rocks on the rails of the track of the other train, which was holding theirs up. 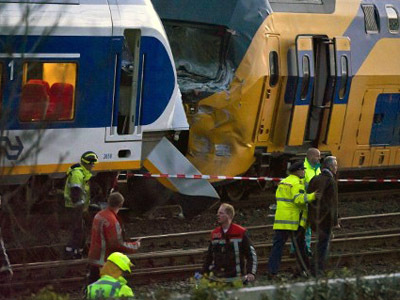 Three of the approaching train's cars overturned as a result. At least 15 people were injured, but received medical treatment in hospital and were able to leave. 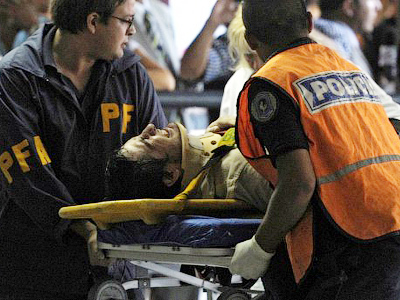 Earlier eyewitnesses said there were casualties, which the country’s Health Ministry denies. 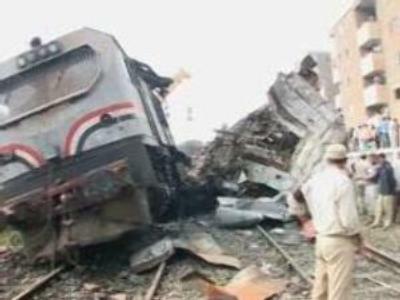 The accident took place in the Badrasheen area of Giza, as the train traveled from southern Egypt towards Cairo.